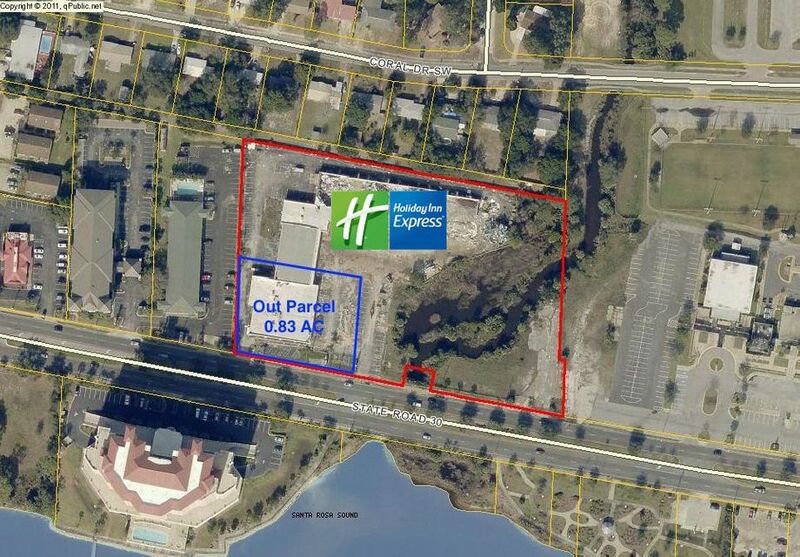 Unique opportunity to purchase one acre vacant lot with Hwy 98 frontage in front of brand new Holiday Inn Express hotel. The site is centrally located in Fort Walton Beach: right across from the water (Santa Rosa Sound) and is in very close proximity to FWB City Hall. The approximate traffic count is 45,000. Owners would consider ground lease or build-to -suit lease as well. Buyer to verify all information.